My Coastal Carolina Mommy: Watch the Total Eclipse Live! Watch the Total Eclipse Live! Ready for the eclipse? I know we will only see a partial...so check out the FREE live stream from NASA here. 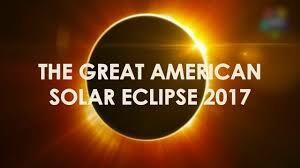 It will follow the totality of the solar eclipse throughout the United States on August 21, 2017. The last total solar eclipse in the United States was 99 years ago. The path of totality crosses the country from West coast to East coast through 14 states. The best way to watch the eclipse as it occurs across the country is on NASA's special event page created exclusively for the total solar eclipse.